To identify the microbiome in sockets with alveolar osteitis and compare it with a control group using metagenomic techniques. A case-control study was conducted in subjects that had undergone a tooth extraction. Microbiological samples were taken from the sockets of 10 patients with dry socket after tooth extraction (AO group) and 10 patients in whom exodontia resulted in no postoperative complications (control group). Bacterial DNA was isolated, and the 16S rRNA gene was amplified and sequenced. Multiplexed tag-encoded sequencing of DNA from the samples was performed, and the reads were processed by Metagenomic Rapid Annotation. A total of 151 different species were found: 55 bacteria were only found in the AO group, 51 were specific to the control group, and 45 were common to both groups. The most frequently found genera in both groups were Prevotella. Prevotella nanceiensis, Actinomyces odontolyticus, Treponema maltophilum, Veillonella dispar, Tannerella forsythia, and Leuconostoc mesenteroides were found in several patients with alveolar osteitis, with an abundance greater than 0.5%, and were absent in all the control group samples. Patients who develop alveolar osteitis after dental extractions might have a different microbiota from that of patients without postoperative complications. Since this is a preliminary report, further research is needed to assess whether bacteria play an important role in the etiology of dry socket. This study seems to indicate that bacteria may play an important role in the alveolar osteitis etiology. Thus, new prevention and treatment strategies should be considered. The authors would like to thank Mary Georgina Hardinge for English language editing of the manuscript and to Dr. Carlos Noguera for help with collecting the samples. The present research was partially funded (4000€) with a postgraduate research grant from the Faculty of Dentistry of the University of Barcelona. Dr. Rui Figueiredo reports grants from the Faculty of Dentistry—University of Barcelona during the conduct of the study. 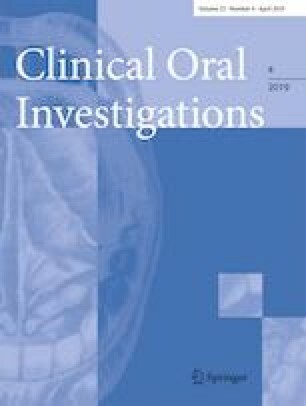 He also reports grants, personal fees, and non-financial support from Mozo-Grau (Valladolid, Spain), grants from Mundipharma Research (Cambridge, UK), personal fees from BioHorizons Ibérica (Madrid, Spain), Inibsa Dental (Lliça de Vall, Spain), Dentsply implants Iberia (Barcelona, Spain), and Araguaney Dental (Barcelona, Spain) outside the submitted work. Dr. Eduard Valmaseda-Castellón reports grants from the Faculty of Dentistry—University of Barcelona during the conduct of the study. He also reports grants, personal fees, and non-financial support from MozoGrau, personal fees from BioHorizons Ibérica, personal fees from Inibsa Dental, and personal fees from Dentsply implants Iberia outside the submitted work. Dr. Laura Aguilar-Durán, Dr. Ramón Seminago, Dr. Carlos Llorens, and Dr. Francisco J. Roig report grants from the Faculty of Dentistry—University of Barcelona to conduct the present study. The authors declare no other conflicts of interest regarding this study. The present research was conducted by the Dental and Maxillofacial Pathology and Therapeutics Research Group at the IDIBELL Institute and was funded by a postgraduate research grant from the Faculty of Dentistry of the University of Barcelona (4000€). All procedures performed in studies involving human participants were in accordance with the ethical standards of the institutional and/or national research committee and with the 1964 Helsinki declaration and its latter amendments or comparable ethical standards.